A website covering Lotus's campaigning the Esprit V8 in GT racing in the mid-ninties. Spending £10 miilion on 3 V8 GT1 cars to compete in the GT Championships in 1996 with mixed fortunes. 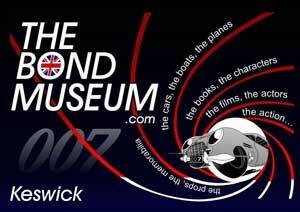 This site also follows the project of turning a Sport 350 into a running replica of the mighty GT1. In order to commemorate the completion of the 27 year production life of the Esprit model, and to provide a valuable reference tool to aid servicing aspects of the 'Final Edition' version, a photographic record was made, following the final cars along the production line as they progressed from bare chassis to completed vehicles. For the Lotus Enthusiats. Lots of cool stuff going on and well worth a visit! An online group for everything Esprit Related worldwide. Run as part of the Yahoo! Groups, you need to subscribe to get access to the email list. A great source of information on all Esprit. Have a problem! tell them and somebody normally has an answer. A must for all Esprit Owners. The original Esprit website, a must for anybody with an Esprit Interest. Too much to list, just make sure you check it out. Extreme Esprit are all about making the Esprit faster. Performance part available for most models (V8 mostly). If you want you Esprit to go faster, look here first. The ABD is a voluntary and non-profit-making organisation, founded, funded, and run by its members. Their aim is to provide an active, responsible voice to lobby for Britain's beleaguered drivers & motorcyclists. The ABD demands an end to the abuse of speed cameras for extorting money from drivers. They reveal the truth behind the scare stories of the impact cars have on health and the environment. A well put together site following work done on a 89 Esprit Turbo. Well worth a look, a bit like the modifications page on this site, plus a whole lot more! Lots of info here from Southrun. Worth a look as it covers all Lotus models. A sportscar nuts heaven. Covers Lotus, TVR, Porsche among others. Updated daily and covering news, racing and general pistonhead stuff. Top site. An interesting site following one mans attempt to put a Lotus V8 engine in a Giugiaro Esprit. The project is ongoing! A website built to provide links to car related sites. Lotus Esprit World's on there, so it can't be that bad. Watch out for those dancing donkey's though! A small germany site with some nice pictures and a few video clips. Worth a look! Andy Whittaker's site promote his FreeScan software for the 4 cylinder Esprit. A great piece of software that makes sense of what your ECU upto. Also some handy tips on small jobs that might need doing on your Esprit. USElise.com is the USA & Canada Lotus Elise club and resource, featuring forums, information, events, news and more. Forum for all Lotus going's on. An interesting site where an owners is putting an Esprit together from two wrecked ones. It's a big job, but someone's got to do it! This is the Berks, Bucks and Oxon Club Lotus site. an d have some great meets. Find Quality Car Info Faster! Website that list useful websites for different marques. Worth bookmarking! Esprit owner from florida, USA website of his 98 V8. Lots of mods and work and huge amounts of power. Loads of really nice touches. Have a look and be amazed! The Black Circles team offer 'the BEST fully fitted prices in the UK'. Our fully fitted service experience includes: Access to over 700 service points. All inclusive fitted prices - No hidden extras! Appointment service – Just choose your tyres and let us do the rest! Customer satisfaction guaranteed. Cheap tyres in price alone. No compromise on performance or quality. 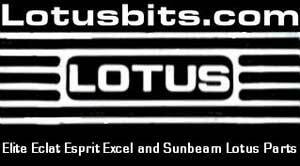 The Lotus Enthusiast's Organization (LEO) is an enthusiastic group of Lotus owners who live in the New York, New Jersey area. We meet a few times a year for to take spirited drives, compare cars, talk tech, commiserate on the idiosyncrasies of the marque, and have fun. Website with all the info on the Esprit Gearbox Upgrade. A youtube for Lotus nuts! Olympic canvases is a family business that specialises in canvas prints and photos on canvas. We produce professionally finished canvases of your personal photos, artwork and images. Tyre Savings has a great range of car tyres from all the major brands, and brings the savings of the internet directly back to the public. Club Lotus is an unofficial Lotus Club that's been running since the 50's. Mainly run for the older cars, but is invalueable for someone who's planning to buy an Esprit, or has just purchased their first Esprit. £25 a year.